Synopsis: A philosopher witnesses a construction worker slowly dissolve into an ambulatory puddle of water. Soon, other middle-class workers also begin to form their own puddles and even unite to form large mobile masses within lakes, cups, or clouds. After a few deaths from thimblefuls of water, the fear of water is widespread, so Noah builds his ark, loads his animals, and provokes the rising flood to take his ship and his life. Analysis: The initial liquefaction occurs when the philosopher gazes through his telescope and into the transparent mind of the construction worker—the menial laborer; what he sees is only fatigue. As his solid, physical form dissolves, soon across the world others involved in similar menial tasks—factory workers and farmers—also dissolve. The revolt had begun. They once held no power; now they control an abnormal function of liquids which opposes thermodynamics—they can control the properties of their liquid state. When their lives as menial laborers were stagnant with monotonous and dulling tasks, their new lives as mobile puddles resist any stagnation; rather than simply sitting still, the once individual puddles cooperate to destroy the high-minded ideas of the ruling class. The liquid people integrate themselves into boilers, thereby rending them steamless; they enter pools and freeze its occupants in midsummer; they foul up coolant ducts for nuclear reactors, dampening plans for destroying them. The efforts of the once suppressed now coalesce into a united and sometimes homicidal movement. Hydrophobia sweeps the world. Panicking, the ruling class decides to build dikes and dams to protect themselves from the philosopher’s prophecy of an oncoming flood. All accounts of water levels and meteorology indicate normality, but the plans go ahead, only to be accosted by the liquefaction of the labors meant to be constructing the safeguard. Birthed during the reconstruction pangs of World War II, French author Albert Campus penned a multi-tiered plot with multi-leveled significance about the isolation of a city, the isolation of emotion, and the coping mechanisms with the various forms of isolation. On a purely as-is view, the story is a softly heroic tale of silent fortitude and the submission to fatalism. On another level, the isolation of the city symbolizes the isolation of the individual with numerous parallels between the city’s plights and the ones experienced by those cut off from the rest of civilization and family. However, on a more historical and academic front, the story serves as an allegory to the French resistance (and assistance, at times) to the Nazi occupation of France (thank you, Wiki). 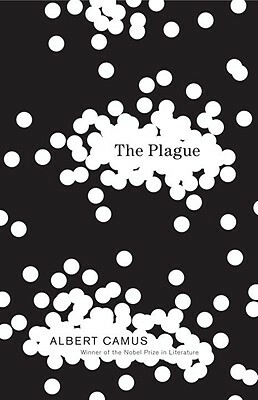 The Plague is a very literary read with subtleties abound, emotion ablaze, and hope adrift. I wasn’t able to compress the number of reading days, so the full effect of the book’s beauty was partially lost to me, but from what I gleaned off the multi-faceted gem left me in humble awe. “The townspeople of Oran are in the grip of a virulent plague. The northern Algerian coastal city of Oran is home to 200,000 citizens, the city is as nondescript as the crated good which enter its port: “treeless, glamourless, soulless” (3). Centered on a plateau, Oran is ringed by a city wall and, further, ringed by hills. Populated by traders and common folk, among the listless souls linger “obscure functionaries cultivating harmless eccentricities” (45). The lethargic townspeople are oblivious to the passing time of the world, the influx of news and people, and the general entropy of life and love. Even the lethal portent of rats dying in the city’s very streets isn’t enough to jostle the worries of the people of Oran; their inherent fatalism simply accepts the situation as another link in their chain of events which they call life. The balmy air of Oran’s mid-April season ought to be a time of temperate diversions or sybaritic dalliances, but the ambiance is disrupted by the presence of rats vomiting blood: “they [the rats] emerged in long wavering files into the light of day, swayed helplessly, then did a sort of pirouette and fell dead at the feet of the horrified onlookers” (13). The commoners and medical practitioners alike ignored the ominous signs of bubonic death ascending from the sewers to their very feet, they ignored the chthonic exodus of vermin which died on their doorsteps and windowsills. Soon, the doctors whisper the word “plague” and measures are taken to isolate the city from the rest of the world. The rats, having died by the thousands, were disposed of by the city but now the populace has begun to show similar symptoms as the rats had. Lethargic to the disease’s lethal impetus, the ignorant and the knowledgeable all come within the influence of the plague’s cynical, cyclic gravity: isolation means detachment, detachment means isolation… isolation from the world, isolation from their countrymen, and isolation from the sea which feeds the city’s people. “Thus, too, they came to know the incorrigible sorrow of all prisoners and exiles, which is to live in company with a memory that serves no purpose. Even the past, of which they thought incessantly, has a savour only of regret” (69). When official news of the Plague’s existence is broken, people nearly rise to arms at the ghastliness of their fate and their hermetic existence. The spring and summer months beyond April become a barren landscape of hope for the townspeople of Oran; “The furious revolt of the first weeks had given place to a despondency, not to be taken for resignation, though it was none the less a sort of passive and provisional acquiescence” (174). Their war against the unseen viral crusader bent upon their destruction draew not flagrant hatred or resolute victory, but a fatalistic acceptance of the “deliberate progress of some monstrous thing crushing out all upon its path” (173). The once maturing metropolis of Oran descends into a decaying necropolis. Designating confirmed cases of the Plague is Dr. Rieux, a practitioner detached from the emotional aspect of death and immune to significant social or familial ties. Once a healer, now the doctor sees himself like Archangel Michael—the good angel of death. Despondent by the Plague’s relentless toll of death through Oran, the good doctor sinks further into his fugue with his 20-hour days lending no relief to his disconnectedness. However, his central importance is prominent and inclusive enough to provide an objective summary of the events during the Plague. M. Othan is the city’s magistrate and remains vigil to the corpulent corruption which abounds in his city and soon surrounds his family. The complacent Joseph Grand, though poorly perceived by other as being unkempt and underpaid, starts his own novel; however, through the course of the Plague’s savagery, Grand is only able to pen the first sentence, an introduction which he mulls over and rewrites time and time again: “One fine morning in the month of May an elegant young horsewoman might have been seen riding a handsome sorrel mare along the flowery avenues of the Bois de Boulogne” (100). Raymond Rambert is a displaced man, a visiting journalist who is shut in by the Plague and shut out from his love in Paris; his determination of escape and reunion offers him entertainment more so than actual solvency. Ashamed of a spoilt attempt at suicide, the man named Cottard turns his life around by becoming more social, though his cynical side unabashedly beckons the Plague to wreak its havoc and consume the town’s populace. The diligent Jean Tarrou is yet another displaced man, but his motivations lie far from self-emancipation; Tarrou calls for volunteers in assistance with his newly founded corps of gravediggers and disposers of bodies, a calling which draws him into friendship with Dr. Rieux. Lastly, the maturation of Father Paneloux begins through his volunteerism in Tarrou’s copse when he witnesses the protracted pain and suffering, and ultimate death, of a child; his emotional reliance on the hope which medicine brings causes the Father to doubt his own stance in the church and sermonizes a borderline-heretic oration at Sunday mass. The protracted residence of the Plague through spring, summer, and autumn doesn’t cease with the temperate weather, but its corruption transmogrifies with the change in climate, a reflection of the seasonal swap from festering autumn to corpse-like winter; the bubonic manifestation of the Plague morphed into that of the pneumonic variety, a simple shift in anatomical focus though equally as deadly. Against this corruption is the hope of the people, latent yet set to effervesce into victory: “once the faint stirring of hope became possible, the plague would end” (259). And with the New Year came the respite of recovery, yet fear remained that their dogged perseverance through the Plague times would end with their inability to resist the Plague and unable to revisit the vista of love with their separate loved ones; this love fueled their resistance during the times of the Plague: “The egoism of love made them immune to the general distress and, if they thought of the plague, it was only in so far as it might threaten to make their separation eternal” (72). Encompassing speculative fiction more so than that of science fiction, I was moved enough by The Plague to write a lengthier than usual review about it. I made a substantial number of notes during the reading and cross-referenced my data with Wikipedia. The loquaciousness of the book may have rubbed off on me when writing the review—my late apologies because the prose in The Plague trumps anything I’ve ever written, be it narrative or academic. The challenge in reading the novel derives from its sentence lengths and punctuation usage, a combination which is eloquent and circumspective, therefore open to interpretation as to its allegorical parallel. I hesitate to connect the themes of “hope” and “cope” together simply because they rhyme; regardless, the novel evokes both feelings: the confidence of fulfillment and contention of suffering. As openly fatalistic as the townsmen are, there still lingers that errant bit of hidden hope which each tuck away as a coping mechanism for the community; if the proclamation of hope was as obvious as the death on the streets, the community would have withered into its own quiet death. Many continue their daily life as a way to combat the intrinsic fear of the plague which consumes all, yet they deny themselves the outward show of the future victory over their silent, unseen adversary. Amid the metamorphoses the characters undergo, the most substantial and sudden occurs to the dynamic eulogist Father Paneloux. Witnessing the death throes of a child infected with the Plague, the Father pleads to his God to spare the child of the worst symptoms and grant him life or death rather than the transitional pain of purgatory. 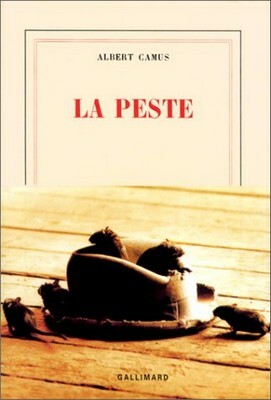 When Father Paneloux’s prayers are unanswered, he relies on Dr. Rieux and his medical knowledge to ease the boy’s suffering; thus, Father Paneloux doubts his spirituality against his reliance on the doctor’s expertise—if God cannot answer a prayer to ease the boy’s pain, why is it a simple doctor can answer that prayer? The following Sunday’s sermon is a lengthy, philosophical, and borderline sacrilegious oration which spans seven pages of the novel (212-218). It’s an excellent, excellent introspective look at one man’s attempt of coping with the realities of the Plague and his once hopeful reliance of an ethereal miracle. Reading a book with that is so textually and contextually rich makes me feel warm and fuzzy, and perhaps makes me loquacious to a sickly degree. 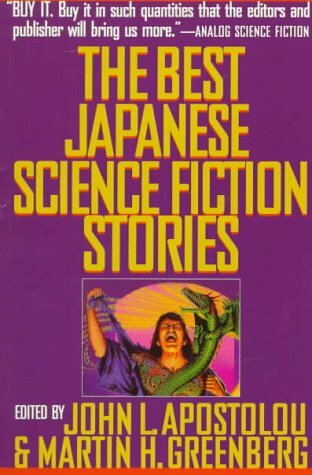 Thankfully, I don’t have many novels of this caliber in my 121 unread book pile, so I won’t spend so much time writing 2,000-word reviews instead of exploring the many facets, both good and bad, of the science fiction genre. 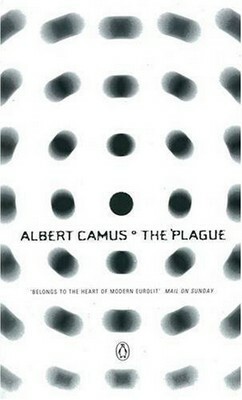 Bless Camus though for this rich, rich narrative! Originally published at SFPotpourri on May 13, 2013.